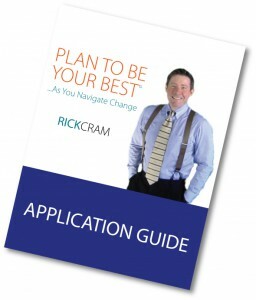 PLAN TO BE YOUR BEST© …As You Navigate Change, and the 7Cs of Compelling Communications© are two methodologies of leadership and communication strategies authored by Rick Cram. They are the foundation to his consulting and speaking services and to the dramatic success achieved by his clients. Clients especially rave about Rick’s creative approach to delivering interactive, full-audience participation keynotes and meetings, as well as experiential brand-building events for customers and team building events for employees. Rick’s speaking engagements are highly customized and range from one-hour and half-day programs to full-day and multi-day experiences. Previously, Rick founded and lead FullSail Strategic Communications between 2002 and 2013, providing Fortune 1000 and small businesses alike with comprehensive strategic and creative marketing and communication services. 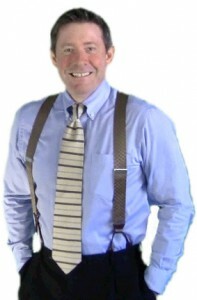 He has had a successful career in sales in major media, leadership roles with ad agencies, and as the Director of Marketing for First Night, Boston’s largest cultural event and the largest New Year’s Eve celebration in North America, Rick managed the campaign that doubled the event’s attendance in two years from 600,000 to over 1.2 million. In business and on a community-level, the leadership and communication strategies he teaches are the underlying methods he has used to support and encourage hundreds of people in crisis, one-on-one and through his leadership of three support groups over the past 15+ years. Rick enjoys sports and fitness, and music. See what people are saying about Rick Cram. 1) To play a significant role in your success by helping your brand, teams and you to PLAN TO BE YOUR BEST©. 2) To help starving children and their families to thrive. A portion of your investment in Rick Cram's services is donated to the Lifesaving Food Program run by World Vision. This support combined with government grants, will multiply 6 times to provide lifesaving food and care to children and families in 35 countries.